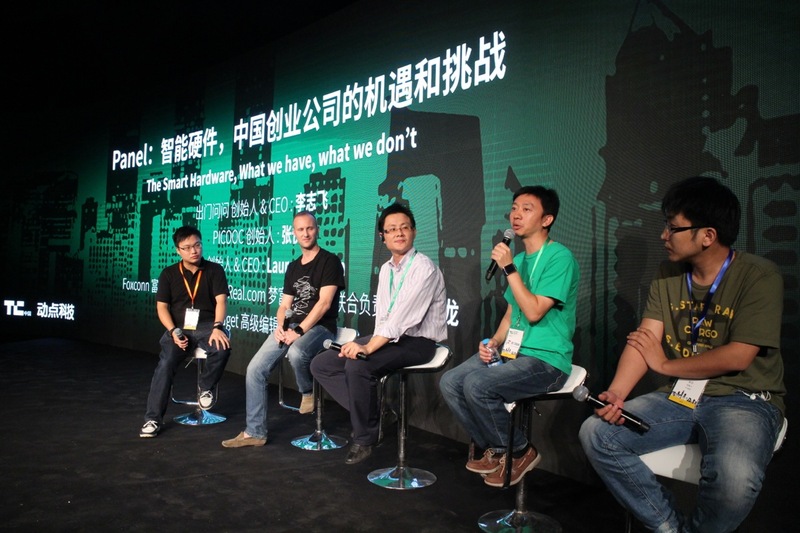 Earlier this week on the second day of TechCrunch Beijing, Engadget’s Richard Lai sat down with an expert panel to discuss the smart hardware industry, in particular touching on the aspects of what the industry is doing right and what it’s missing. Participants of the panel were Laurent Le Pen, CEO and founder of smartwatch Omate, Li Tailong from platform Kick2Real (under Foxconn), Li Zhifei from ChuMenWenWen, a voice-activated mobile search application as well as Zhang Yue from PICOOC, a company which developed a smart weighing scale. The panel’s moderator, Richard Lai, kickstarted the panel by asking what component is lacking in the smart hardware industry, to which Li Zhifei from ChuMenWenWen answered that most so-called “smart technology” devices should not be called as such. Zhang Yue from PICOOC joined in the conversation, and stated that smart hardware needs to be seamless for users, blending into their everyday lives, and making the hardware alone is not enough – content is still king. Li Tailong, who was representing Foxconn, took the chance during the panel to introduce Kick2Real, a platform that helps selected entrepreneurs to manufacture hardware prototypes for free. Kick2Real has already been in operation since April this year, and Li says that they have already received over 300 applications. Lai then moved on to ask about what form factors will be interested in the future of smart hardware, to which Le Pen of Omate suggested that devices that can be worn on the wrist are still the most common, and glasses are going to be less mainstream. “When we started Omate, we decided to do what was most mainstream as it was still at the early end of the community. Building glasses would have been complex, so we launched our expertise on the wrist and really focused on that community, and we started from the smartwatch,” said Le Pen. Le Pen added that it is good for designers to learn from the fashion industry, because the look and feel, as well as form factor for the wearable is important. Li Zhifei followed by saying that there are a plethora of smart devices on the market now, ranging from shoe inserts, socks, shorts, glasses, and even rings.